The Junk TARDIS is a public use TARDIS that any player with the correct permission can use on the server. 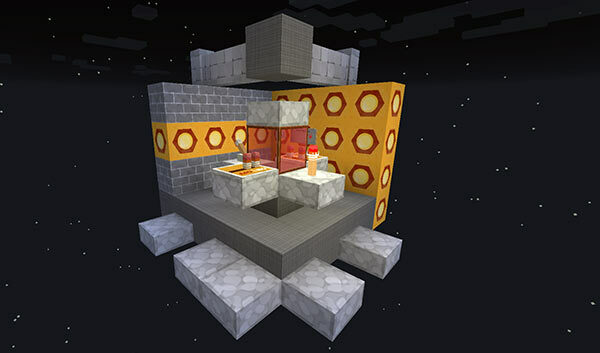 It only travels in overworlds (no Nether or The End) and doesn’t require the player to have an Artron Energy supply. For the Junk TARDIS to be enabled on the server, the server must be set to use a default world for storing TARDISes (this is the default option with new installs). In the config, set creation.default_world: true. You will also need to enable the Junk TARDIS — junk.enabled: true. Open chat and type the command /tardisjunk delete. Requires the tardis.admin permission. When the Junk TARDIS is travelling, any player who steps off the Junk TARDIS platform will be killed instantly. To visually show that the Junk TARDIS is travelling particle effects and the redstone torch on the console will flash on and off. If no destination coordinates are entered onto the destination sign and the Junk TARDIS is not at its ‘home’ location, then clicking the handbrake lever will make the Junk TARDIS travel home. /tardisjunk time — find out how much time remains before the Junk TARDIS automatically returns home. tardis.junk — to fly and find the Junk TARDIS.